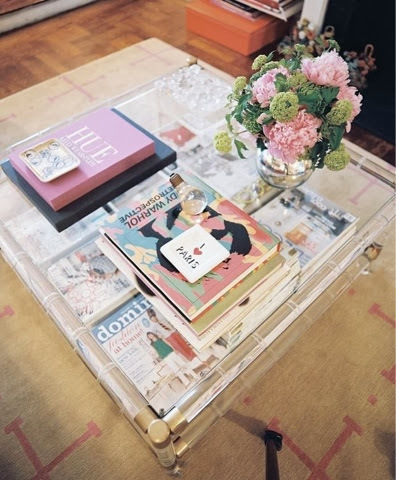 That there is actually a proper way to style your coffee table! 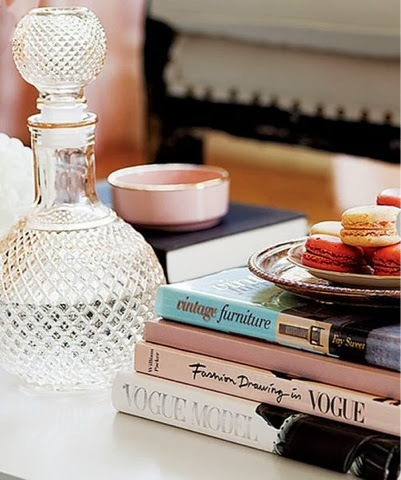 I don't mean where to have it, or which table to choose, oh no; I mean what actually goes on your coffee table and where on your table it should go. 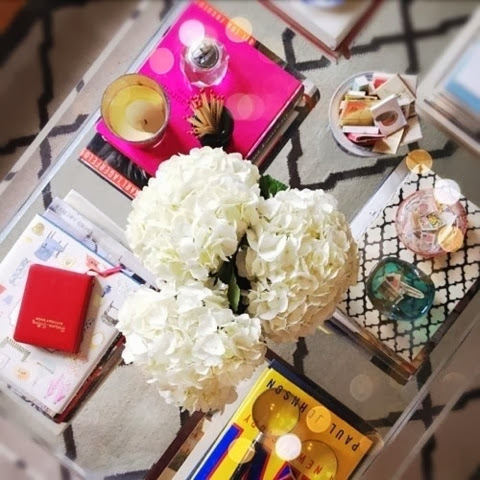 There are people's entire careers dedicated to coffee table styling. I am clearly in the wrong job. 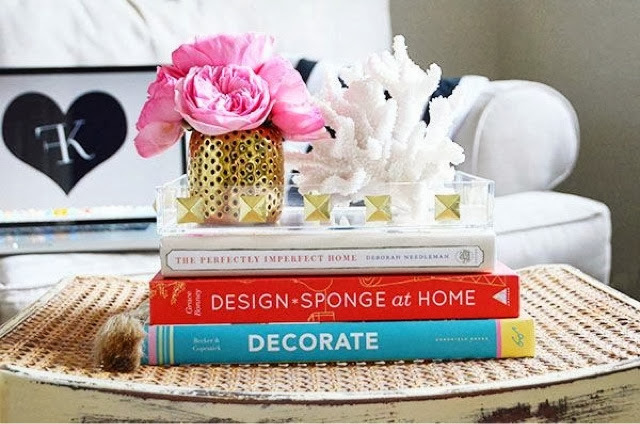 Match your books to your flowers - genius. 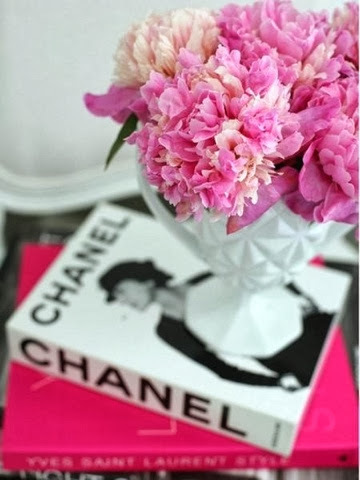 Flowers - fresh preferably, silk acceptable, carnations never. Probably large buds are best with short stems. Something tall - I suppose you could use the flowers, but if you remember that your table will be admired mainly from a seated position, a better "tall" object would be an interesting piece of art or sculpture perhaps...you know something really precious so that when I can visit my toddler can wreck it and we never have to speak again. Books - obviously. Who doesn't want to how off their artisitic, creative, intellectual, hilarious side with a choice selection of books. Again, I would suggest the bigger the better and pile them up. I've been advised that two piles o books diagonally aligned to each other balance the table out. So there we go. Trays - this year it's all about layers and a tray helps with this and if you leave enough room people can put their cups on it. That is if its not full of more priceless artefacts. Coasters - apparently people with good coffee table styling do not use coasters. It's very embarrassing if you spoil your look with aug practicalities. You've been warned, just don't do it. When you have a baby and a cat and a dog, the nearest I can get to styling my coffee table is a pile of "that's not my puppy" books, various remote controls (some work the machines in the room-half don't work at all) a pencil, blunt to avoid injury, the baby monitor (yes still) and various other crucial pieces that rotate on a daily basis (favourite toys, half written shopping lists, and a constant mug of cold, half drunk coffee). On a slightly more helpful note, this has caused me something of a conundrum. 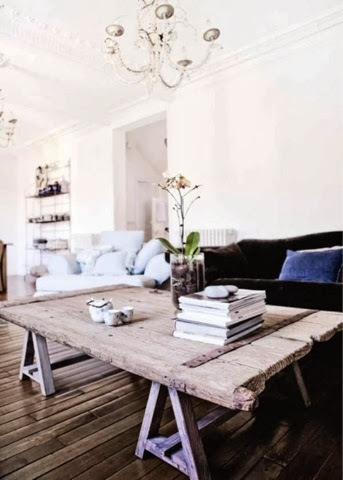 It is annoying- we all want our homes to look nice, but there are few of us that can style our coffee tables to achieve this. Lets be honest we all have other things to do and even if we did most of us would be "styling" at least 30 times a day to protect our masterpieces from, well, real life. So what's the answer? I'm not 100% sure yet, but I'm working on it. 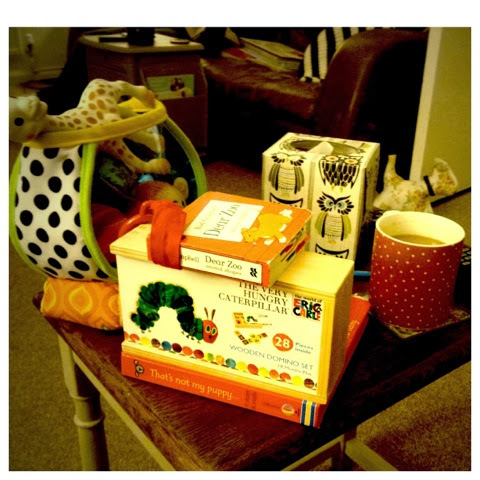 I'm doing some serious research into practical, (belonging and family friendly) options for coffee tables. I'll post them as part of my The Way to a More Beautiful Home Series. I warn you now though; my table is likely to have coasters on it. Hahah Jean, so so true. My sentiments exactly. The big IKEA stools are great aren't they - footstool/table/climbing frame! Apparently there's an artist in London who took a photo of her coffee table every day as a 'piece'. Some days it looked lovely, other days it had the remainder of the night before, and sometimes it was bare, just featuring the whitish circles cups leave behind!